Coldplay is a band that people either love or hate. Their 2011 album Mylo Xyloto is just as polariz ing. Many fans were a bit thrown off by 2008’s Viva La Vida. It was a drastic change from Coldplay’s previous piano driven soft core sound. There were also those who loved the new artistic direction; hailing it as the bands best work ever. In the interest of critical honesty, I will say I will say that I was one of the latter fans. I enjoyed Coldplay’s previous work but many of their songs and albums did not seem differentiated enough. I think a band can only be great if it is constantly changing its sound and experimenting with new directions. 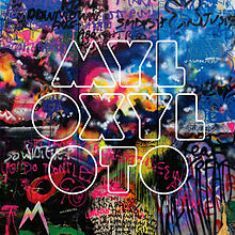 Mylo Xyloto follows Viva La Vida in a new direction for Coldplay but is that direction up or down? The first thing that is interesting about Mylo Xyloto is that it is a concept album. I didn’t know this when I first heard it and it really altered my enjoyment and understanding of the album as a whole. It follows a simple tale. Two lovers meet up despite some crazy totalitarianism and love conquerors all….sound simple? Well Coldplay admits as much on their last track when they state, “A simple plot,” in reference to the story their album told. That said, I think the simplicity of it is what makes it work. This is not a supremely deep piece of art; it is fun and simple with a good idea at its heart. It should also be noted that graffiti and vibrant colors played a huge part in the inspiration of this album. You can almost hear these colors on songs like “Paradise” and “Hurts like Heaven”. It is really fun when a band can take one form of art and use it to echo another. Now onto the album itself! 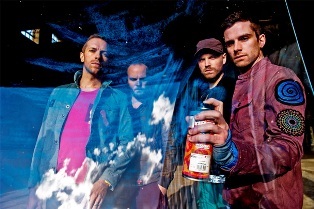 It all starts with the title track “Mylo Xyloto” which is little more than a tiny instrumental bit that creates a good contrast for the second track “Hurts Like Heaven”. I can’t help thinking the album would be better suited if these two songs were one. The second song has a great sentiment at its core with the line, “use your heart as a weapon / and it hurts like heaven!” I interpret this as meaning that if you follow your heart in life you can make a difference in some way. There is a bit of club and eighties sound to this tune but it still holds up and may be the best song on the album. The third track “Paradise” seems to focus on the female protagonist of the story. The intro to the song is extremely interesting with electronic and synth sounds before progressing into the main section of the song. The title is repeated a bit much for my taste but the piano is solid throughout. “Charlie Brown” follows this. It reminds me a lot of ‘Life in Technicolor’ from Viva La Vida. This sounds at least partially intentional. Lyrically and conceptually, the song seems to be illustrating the wonderful potential a new relationship can have. The slow piano walk out at the end of the song is a really great change from the rest of the song. “Us Against the World” seems to simply be about a couple facing the world as a team. It’s a nice acoustic guitar ballad. Chris Martin and Will Champion singing together add a very nice dimension to this tune. Next is “M.I.X.X.” Again I didn’t see much of a point to this instrumental except to throw the listener off guard when ‘Every Teardrop is a Waterfall’ followed. On that note the song may have a ridiculous title but ‘Every Teardrop is a Waterfall’ is actually quite good. The synth organ beginning is incredibly cool and the song seems to be happiness in musical form. It’s strange that the song seems to be all about staying positive no matter what when the title is about tears. The best thing I can say about this song is that it makes you want to go skip in rainbow meadows, and Jonny Buckland’s guitar is pristine. “Major Minus” is a very good change of tempo following “…Teardrop…”. It sounds a lot darker and the acoustic guitar slapping is an interesting dimension. The lyrics aren’t as complex as some of the other songs on the album and conceptually it seems to be about the loving couple that the album is about fleeing the totalitarian regime that they live under. Once again the electric guitar on the exit is very interesting. “U.F.O.” is a bit of a throwaway song on the album after this. Two acoustic guitar ballads on one album are not a good idea. The album picks up again after this with ‘Princess of China’. The inclusion of a female vocalist is interesting but I wonder if Rihanna wouldn’t have been better used on “Us Against the World”; considering that song is about a couple against everything. The guitar is good again here. The two protagonists seem to be lamenting the loss of their normal lives here, or maybe it’s just the loss of their love? There are also some cool techno sounds between verses that are entertaining. This song is sort of a guilty pleasure of mine much like Rihanna’s team up with Maroon 5 a few years ago in the song ‘If I Never See Your Face’. After “Princess of China” comes another throwaway song; the aptly titled “Up in Flames”. The electronic drums sound tacky and amateur. The song would have been better if it had just been Martin playing on his piano. This is where the relationship of the concept album has truly fallen apart. “A Hopeful Transmission” has some interesting sounds in it but this is just another instance of album filler to prep the listeners ear for the following song ‘Don’t Let it Break Your Heart’. There is a good drum crashing start to this tune. 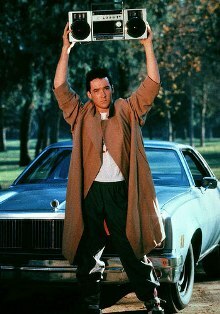 This song seems to be a literal interpretation of the famous boom box scene from Say Anything. One of the two lovers in the song is speaking directly to the other with the title and the lyrics. There are some good echoing effects on Martin’s voice here. The song is a return to the more upbeat nature of the album. The album closes with “Up With the Birds”. This song starts simply with Martin and his piano before building and adding sounds to it. When the guitar jumps into the song midway through it seems to change almost completely. The protagonists of the story seem to agree to give love another shot in spite of their falling out. So what’s the verdict on this album? I like the simplicity of the two lover’s concept throughout the album. I like the addition of the new electronicish sound; even though it goes too far at times. I also like all the contrasting sounds and songs as the albums tempo constantly changes. 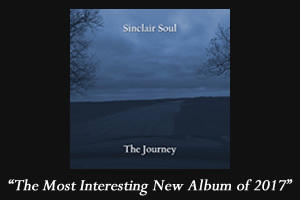 Unfortunately this album leaves a lot to be desired too. It is fairly short and as already stated the instrumentals shouldn’t even be listed as separate tracks. The album is extremely popish and sounds a bit like it could belong in a club. This is not Coldplay’s best work in my opinion. While I appreciate them branching out artistically I would say Out of the five albums they have made to date it would rank somewhere near the bottom for me despite the fact that there are a few solid songs to be found on it. Only time will tell if I am correct in loving their past work and Viva La Vida more than this album. That said, just because an album isn’t the greatest doesn’t mean Coldplay’s tour of it isn’t! Read about how the band blew me away in person here!